Since the age of 16 in 1966 until the present day I have been a lover of Persian culture and language. I went to Iran for the first time when I was 16 as the houseguest of an old aristocratic family who could trace both sides of their family back 1000 years and showed me titles and land grants which had been given to their ancestors by Nader Shah. I went to school in Rome, Italy for five years with one of their sons who started teaching me Farsi in exchange for English, but he also taught me much, much more than just the language. He taught me about the proverbs, the taroff (honorifics,) the poems, the cuisine, the jokes, the Mullah Nazrudin stories, the sweets and candies and confections like the pistachios, the dates, and the melon, sun flower and pumpkin seeds( Persians are big time seed eaters shelling them neatly and in rapid succession between their teeth til the floors of the movie theatres were full of husks) and a whole Persian world view: The generosity of Persian friendship, the elaborate system of good manners, how to show respect to elders, to statesmen, how to recognize the humanity in everyone from the humblest to the greatest. He taught me many things like giving other people presents when you had had some great success as a way of sharing your good fortune and not making them jealous of it. Next thing you know, I found myself bickering over who should go through the door first or who should pay the restaurant bill. The concept of dividing up the bill evenly between us was unthinkable and un-Iranian. Over the course of time I figured out that although it took longer, that by having each person take turns paying the entire restaurant bill that things eventually evened out, the same as dividing up each bill but with two added advantages: Each of us got to play the big shot in public and this arrangement tended to help sustain friendships because in order to get paid back you had to keep going out to dinner with the same people. This was a completely foreign language in itself to your average American. The Iranians had a wonderful quality which having grown up in Italy, I had also seen in the Italian culture, which was the appreciation of the individual with all his eccentricities, strengths and flaws, the great human interest that people took in what made an individual interesting or amusing or unique. There was no total reliance on technology, or trends or fashion or the opinions of others or the size of someones wallet or car or house to define who they were. Although many of the newly wealthy cared about fashion and street addresses and club membership, when I went to live in Iran in 1974, I went into a world where not only the wealthy would shower a visitor with generosity but even the poorest individual would try to give you the shirt off his back or cook for you his last chicken. It was a world where rich and famous people spent as much time talking about the latest misadventure of one of their servants or trying to get their servant married off properly or trying to help him earn some extra money by finding him outside jobs working a friends party or at a government function, as they spent time talking about their own children, friends and affairs. I found a world where the neighborhood car washer who lived in the street, was someone everybody knew and gave gifts to on Aid-e-Gorban (a Shiite tithing holiday). I never saw a beggar in that Iran. No matter how poor a person was, he would be selling something even if it was only pencils or gerdou (brine pickled walnuts.) I found a world where family elders would still help settle the marital disputes of their children and nephews and nieces. I found a world where everyone was in charge and no one was a subordinate which made organizing anything, even something as simple as the tenants of a six unit apartment building trying to collect the money to buy another tank of heating fuel, almost impossible and yet it was a world where humanity was the measuring stick. I learned the meaning of: "What is possible everywhere else in the world is impossible in Iran, but what is impossible everywhere else in the world is possible in Iran." I could give many examples but two will suffice. My very first day on a new job with a large American corporation and my bosss younger brother, who was about 18 at the time, had gotten arrested the night before for drunk and disorderly conduct at the Pars American Club ultimately getting into a fist fight with the local policeman and throwing him into the swimming pool until reinforcements arrived. I was asked by my boss to go down to the police station and see what it would take to get his brother released. This was my first day on the job and never having dealt with the police in Iran, I was a bit nervous about the outcome and besides I did not particularly admire his brothers behavior to begin with. On my way by taxi, I began to fabricate a story for "Tony" which would appeal to the Iranian sensibility. I explained to the chief of the police station that, "Tony" had gotten a little carried away last night with the partying because he had just become engaged to be married to an Iranian girl whose parents had consented. In fact "Tony" actually did end up marrying an Iranian girl but several years later. The police chief upon hearing this explanation seemed to be satisfied and sympathetic. So I took the next venture which was to ask him what I could do to obtain his release from jail. The police chief called in the policeman who had been hit and thrown in the pool by "Tony" and told me to ask him what I could do. The policeman listened politely to my explanation of "Tonys" behavior and then in a very modest and friendly way, he showed me his torn uniform and said that since he had to pay for his own uniform that if I could just pay for the repair of his uniform which was probably less than $10 that he would be satisfied provided of course that "Tony" didnt get into anymore fights. And so I left with "Tony" next to me in my taxi that very afternoon which was not the outcome I had expected. 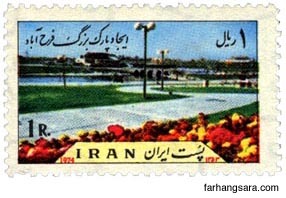 Can you imagine what would have happened to an Iranian who had gotten drunk in some private club in the USA, struck a policeman and thrown him in the swimming pool back in 1974? He would probably still be serving time in jail to this day. The other story I want to tell is how one of the supervisors of the American corporation for which I worked was rear ended by an Iranian workman on his motorcycle one morning on the way to work. The American supervisor had been put in jail, not the guilty party who had rear ended his car and who was driving his motorcycle without a license. I understood by this time that the police, other than the highest ranking ones, considered themselves to be working class as well and they always seemed to favor who-ever was poorer rather than whose fault it was. The American did not understand this unwritten unspoken concept at all and of course he didnt understand a word of Farsi either even though he had lived there for years, so his reaction was to scream and yell and bang on the walls of his cell and make gigantic threats about what his Embassy was going to do about this injustice when he got out of jail. By this time I had learned the routine. I asked the judge how much the repair bill on the motorcycle was going to be and when he told me some modest sum like $150 or $200 I started to hand it over to the motor cycle driver, but I had one condition that I addressed to the judge and to the policemen present. My one condition was that they keep the loud mouthed American supervisor for a few days rather than turning him loose immediately. They had no problem with my request. This is a true story, one of many I want to tell you. I became so Iranianized over the course of the next 5 years that I became a Moslem at the Tehran Rotary Club in the presence of the late Foreign Minister Ghallatbari, the late prime minister Manucher Eghbals younger brother and many other dignitaries of the Shahs government and the priest presiding over the ceremony was Imam Jomeh, the Shahs personal priest. It was in the local papers and I still have copies of the articles and photographs from that ceremony. I adopted the pseudonym Rasool Aryadust on that occasion which was the name my friends father Alia had chosen for me for the event. In addition I became a very good friend of Professor Parvin Ansary, who is a film producer and director who lives in Rome and was good friends with the lates: Fellini, Vittorio Di Sica, Vittorio Gazman, Anna Maria Pier Angeli, Paul Bartel, Marcello Mastroiani, comedian Alberto Sordi and still live. Khanoum-e-Parvin put me in two of her films in Iran which both the Italian and Iranian National TV and Radio companies helped to subsidize. I played the role of Sir Robert Shirley, who was an historic character, in one of the films set in the Safavid time of Shah Abbas. I met the then current TV starlet "Atesh" in that film and acted with her sometimes in my role or more often as the double of her Italian husband in the film, because the real life actor couldnt ride a horse or row a boat or any of those manly things. We even had use of the Shahs horses for one of the scenes in the film. Another role was given to Nakhshineh in this film, who later went on to become the Dai Jan Napolon of the extremely popular local TV series which was adapted from Iraj Pezeshkhzads novel of the same name:" My Uncle Napoleon." Our film:" The Travels of Pietro Della Valle," went on to win a gold medal at the Nice Documentary Film Festival that year. In our second film I got to know Shohreh Aghdashlou, who was wonderful and fun to work with and I had the incredible experience of re-introducing myself to her backstage after a production of "Our Share of Fathers House" September 9th, 2001, at a college campus theatre in Northern California after we had not seen each other since 1977 or 78 in Iran. She has recently played a much acclaimed role in Vadim Perelman's film The House of Sand and Fog. However, the real purpose of this upcoming collection of short stories is to honor all my Persian friends such as Professor Parvin Ansary for her art films. She really has made a very great, often behind the scenes contribution and effect on Iranian Cinema and theatre and she should be recognized by her own compatriots as much as she is by people in Hollywood and Cine Citta. I also wish to honor Persian culture and help to create a better understanding and a bridge between our countries. Dear readers, please visit my website www.zirzameen.com to learn more about my first book and how to aquire a copy.